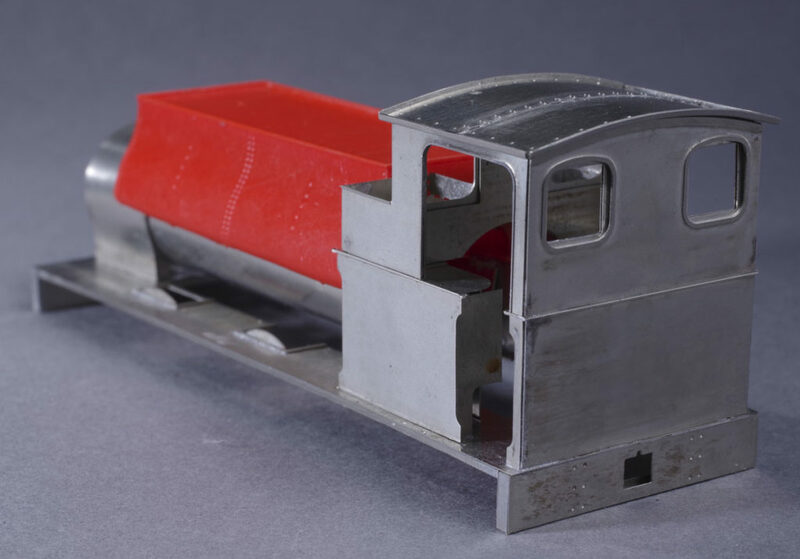 To recap a little, the kit will be etched in nickel silver with cast bronze parts and some 3D printed plastic details. There are also some design novelties as well. Test shots of various parts have arrived and been assessed, and this is the current state of play. Firstly, everything has worked out more or less as planned. There are certainly some errors to correct and rework to improve buildability, but the designs are basically a success. The eagle-eyed will be able to spot the issues in the photos below. The short version body goes together as intended, as shown above. There are some minor changes to make, but overall it is accurate and relatively easy to build. I’ve designed the kit around DCC sound (although this is not mandatory). Under the footplate lies a PCB that carries all the wiring. The tank has an integrated sound box to take the supplied speaker. 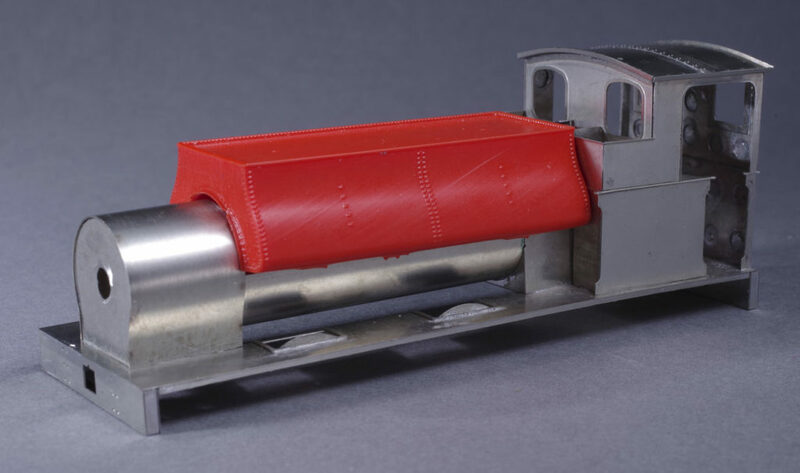 The PCB has allowance for a plug in Loksound micro, which slips back into the boiler via the smokebox. 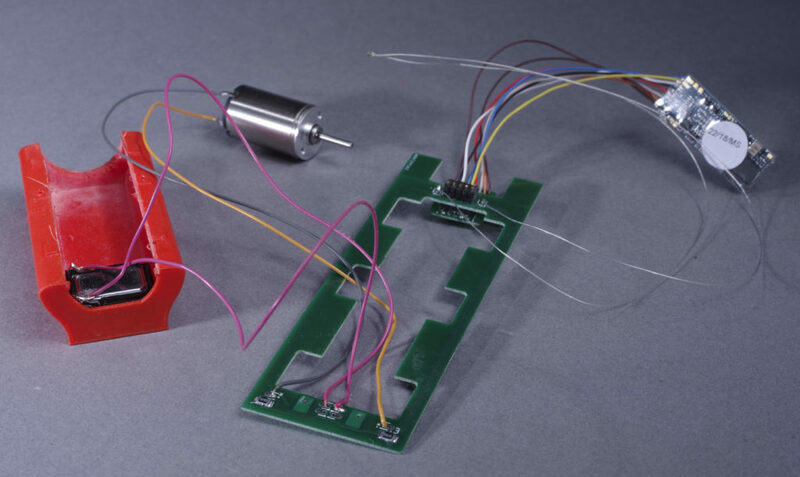 There are wiring points for lighting and resistors if needed. The 1219 coreless motor runs smoothly and quietly over the whole speed range. Rear of the test build showing the window frames characteristic of the early modified Neilsons and the clip in cab roof. 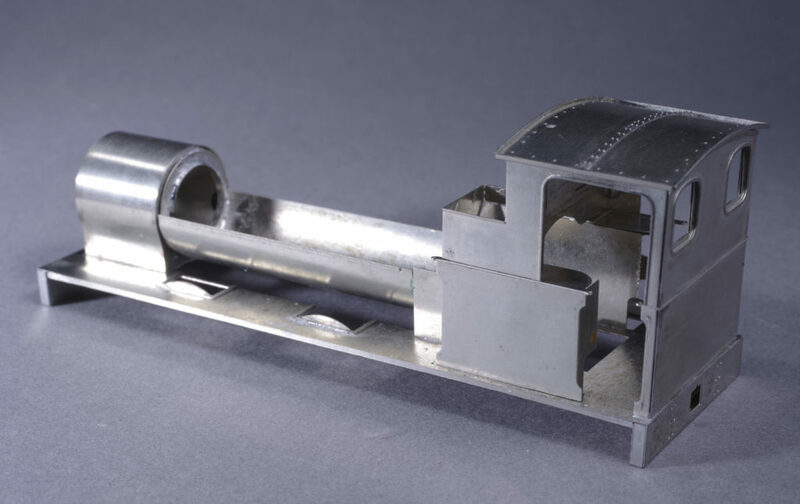 In the short frame kit, etched parts are supplied to model the Neilson, Avonside, Yorshire and Vulcan locomotives supplied pre-1880. The long frame kit is for locos by all builders supplied from 1880.